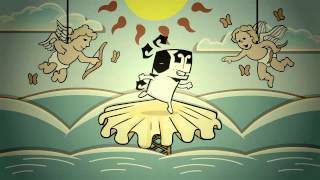 //Powerhouse Animation had a great time creating animated versions of Paul Gilligan's syndicated comic strip, Pooch Cafe. As with our other projects working with the fine folks at Ringtales, Powerhouse would receive notes and the original comic strip, we would then use Flash to create an animated version of the script that tried to be faithful to the original cartoon. 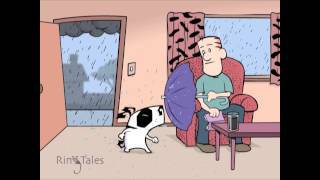 Paul Gilligan’s Pooch Cafe is a prime candidate for traditionally animated content. 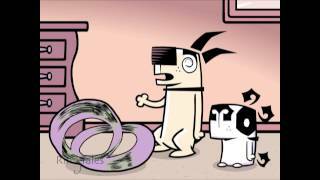 The strip follows a mutt named Poncho and his life with his master, Chazz, and Chazz’s cat-loving wife, Carmen. Poncho has adventures with his fellow dogs Boomer, Hudson, and Droolia. The strip takes its name from the cafe where Poncho and his friends gather to compare notes about life among the humans.